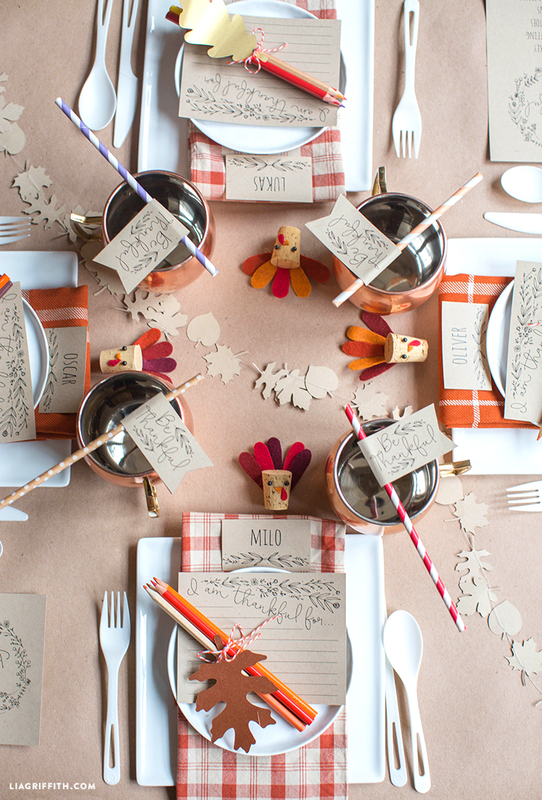 It is always fun to set a separate, low table especially for the kiddos at Thanksgiving. It makes the little ones feel special, and allows the adults to indulge in a little grown-up conversation – which is always nice! 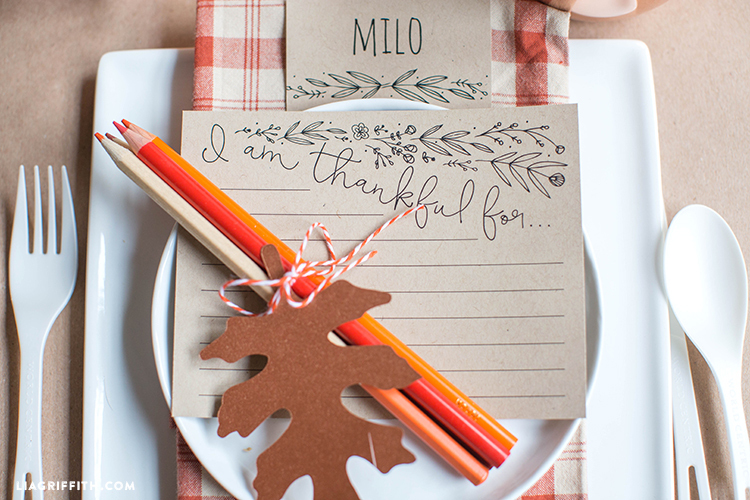 Today we are sharing a set of printables that will make your kids Thanksgiving table look extra-lovely. 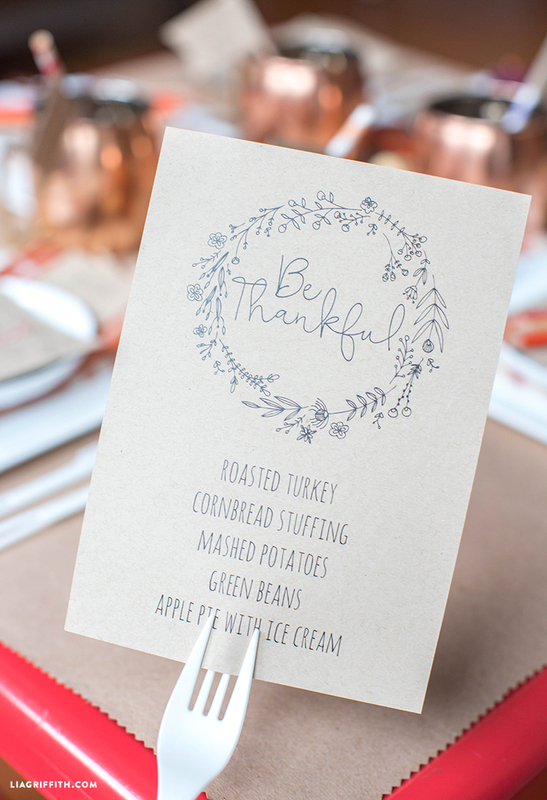 This download includes editable place name cards, an editable menu, pretty “I am thankful for…” cards and sweet little straw wraps. To edit the menu and place cards, simply download the free font Amatic SC to your computer before opening our PDF and editing the text boxes. 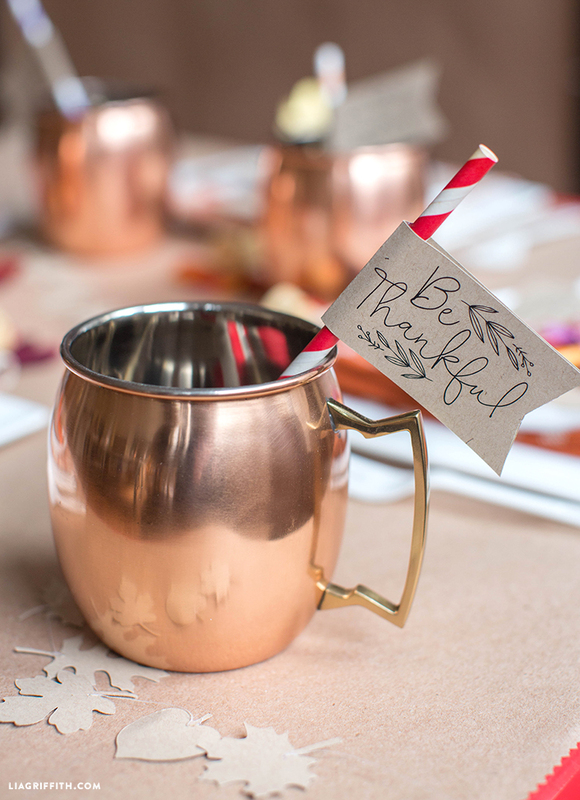 Each piece can then be printed straight onto craft paper and trimmed to size with scissors. 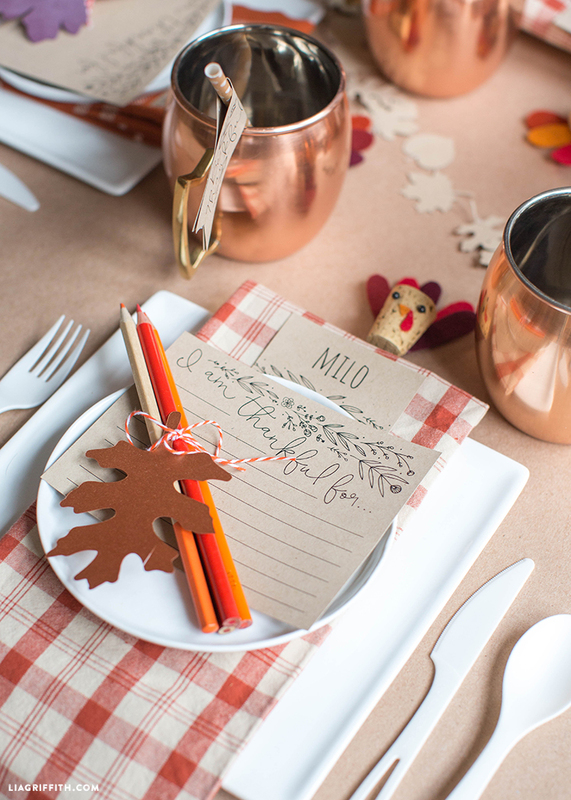 We used a roll of kraft paper for our table cloth and dressed the table with copper cups, white tableware and earthy plaid napkins. If you like the delicate oak leaf which we used as a tag for our bundle of pencil crayons, then you can find leaf templates at the foot of this post. 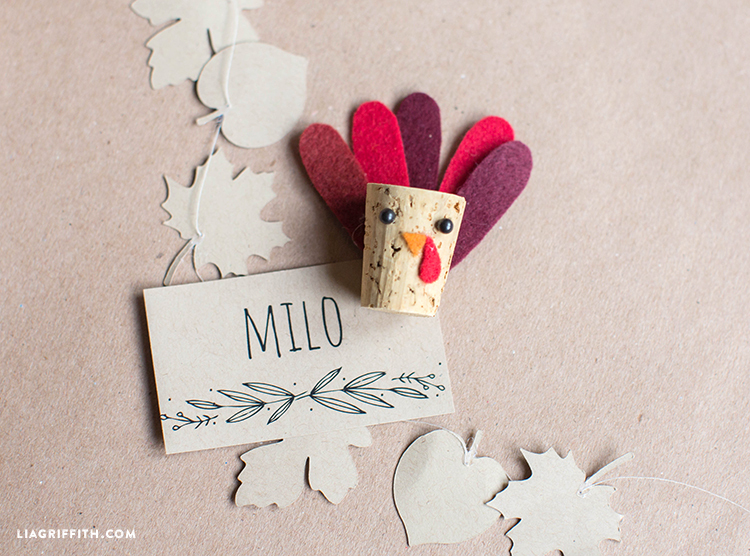 You might also like to make a few of those adorable cork turkeys and the pretty mini leaf garland to really make your kids Thanksgiving table look its best.